Despite the rise to fame of shower gels and liquid bath soaps, soap bars are still a staple in everyone’s bathroom. You just cannot live without a good old solid bar of soap that exudes both hope and promise, and the ADOVIA™ Dead Sea Mud Soap is exactly that. It brings you hope that you will soon get rid of your recurring skin problems, and the promise that you will not regret buying the ADOVIA™ Dead Sea Mud Soap. You will love it because of the following reasons. It is enriched with centuries old Dead Sea mud, plus Dead Sea salts, which are packed with minerals from the Dead Sea itself. ADOVIA Dead Sea Mud Soap is wonderful! My back has always broken out ever since I can remember but after a couple of weeks of using ADOVIA Dead Sea Mud Soap the skin on my back began to clear and now it looks amazing. 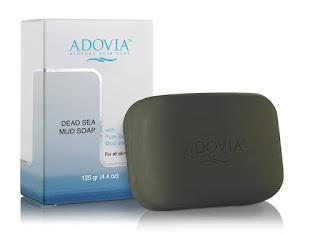 ADOVIA Dead Sea Mud Soap is great for removing dirt and oil both on my body and face. It's a wonderful product! Also contains Silicon and Vitamin A, which increase the firmness and overall vitality of your skin. 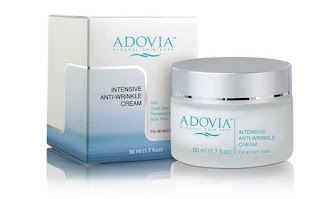 Reduce wrinkles and fine lines while quickly firming your skin with Adovia's unique anti wrinkle formula. Composed of deep-hydrating, natural Almond Oil and essential Dead Sea minerals, this fast acting cream will firm and tone your skin, reducing the appearance of wrinkles and helping prevent the formation of future wrinkles. This cream is a must have for any woman over 25, because it not only fights existing wrinkles - it helps prevent formation of new wrinkles and fine lines. Adovia’s specially formulated Anti Wrinkle Cream helps firm up your skin to get rid of wrinkles, fine lines, and other age indicators. With hydrating ingredients like natural Almond Oil and Aloe Vera, this cream will absorb into skin to moisturize and maintain texture and radiance. With added Silicon and Vitamin A, it promotes skin health and enhances firmness and elasticity while helping to restore equilibrium to the skin’s moisture and pH balance systems. The Anti Wrinkle creams helps reduce existing wrinkles as well as preventing future lines and wrinkles from forming by keeping skin tight and toned. Adovia Anti Wrinkle Facial Moisturizer Cream has really improved my laugh lines. After a couple days of use I noticed my skin felt and looked hydrated and radiant. My skin feels silky smooth and I'm so impressed with the results. This is a wonderful product! with Dead Sea Minerals, All Natural UV Protection and Aloe Vera. Moisturize and protect your skin with Adovia's quick absorbing and non-greasy, daytime moisturizer. Quenches your skin's thirst with natural, deep hydration that lasts all day giving you a more radiant complexion. Helps protect skin from harmful effects of the sun and daily pollutants without clogging your pores. Contains an active complex of Dead Sea Minerals for natural moisture balance. It continues working throughout the day by improving your skin's ability to regain it's natural moisture and better retain it's moisture levels. People will wonder why your skin has than new, natural "glow". Adovia Day Moisturizing Cream moisturizes and protects skin with Adovia’s quick absorbing and non-greasy daytime formula. The moisturizer is infused with Dead Sea minerals, all natural UV protection and aloe vera. The Hypoallergenic, dermatologist tested and approved cream works to moisturize deep, hydrating skin and bringing out the natural radiance. A single application provides all-day moisture without clogging pores. Adovia moisturizing cream contains an active complex of Dead Sea minerals for natural moisture balance that is easier for skin to retain. The cream also makes an ideal makeup base. Adovia Dead Sea Mineral Day Moisturizer gave my skin that wonderful natural glow that I've always desired! I can't get over how hydrated my skin feels. I absolutely love this Adovia Dead Sea Mineral Day Moisturizer because it's not sticky and dries quickly so I can apply my makeup in the morning and head out the door. I love this product and highly recommend it! This mud Mask is made from a formula comprised of mud extracted from the Dead Sea, Vitamin C and Aloe Vera, the mask works to extract oil and other debris from the skin – leaving behind glowing, healthy skin. As the mask dries, it gently pulls out toxins and impurities that can contribute to clog pores that can make the skin appear aged. The Mask is a great solution for treating and preventing acne. The Facial mask can work as an emergency spot-treatment for acne, pimples and blemishes. 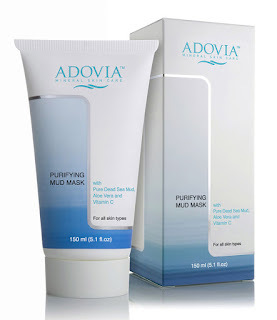 The Adovia Mud Mask is a “MUST-HAVE” product for anyone who suffers from oily or acne-prone skin. Adovia Dead Sea Mud Mask with Pure Dead Sea Mud, Aloe Vera & Vitamin C is one of my favorite masks! I love mud masks and this one is awesome! I often have a few little breakouts here and there but since using this product twice a week they haven't been popping up. I love that this Adovia Dead Sea Mud Mask leaves my skin glowing and healthy. This is a wonderful product that really works and is worth every penny. The abundant minerals in the Dead Sea have been a source of healing for centuries, and now you can enjoy their many benefits in the comfort of your own home. 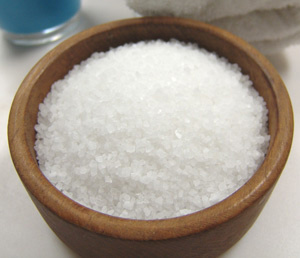 Harvested directly from the Dead Sea, these mineral salts will turn your bath into a pain relieving, skin healing spa. Each order comes with a certificate of authenticity. Directions: Pour 1 cup into warm bath, and let it dissolve. Soak for 20 minutes, and follow with a lukewarm rinse. I love Adovia Pure Dead Sea Salt! As a runner I always have supplies on hand for a nice salt bath but I've never tried pure dead sea salt before and I'm in love with the results. After a long run I love to use Adovia Pure Dead Sea Salt to soak in while in the bath. My muscles feel so much better after a long soak and my skin feels amazingly soft. I also think that Adovia Pure Dead Sea Salt helps me sleep better at night because I sleep like a baby after a long soak. I highly recommend this product!